I am back with a CAS card for this months Hero Arts Challenge ;) It has really been too long! I stamped the cat with versamark ink first and then I white embossed it. I wanted a clean and crisp edge so I masked off both the cat and the "hill" using some masking paper. Finally I inked the background with the new Orange Soda ink. 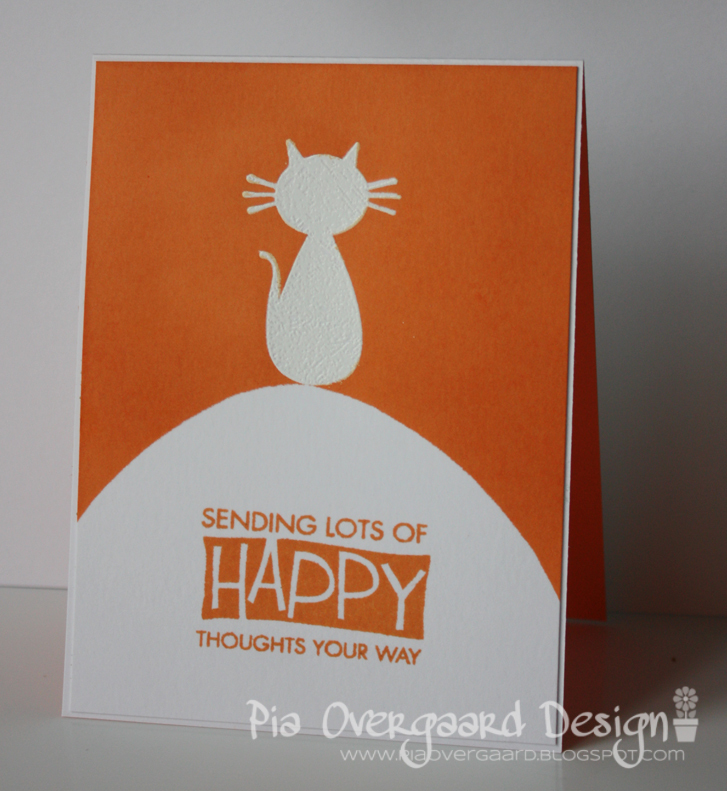 The stamped sentiment is from the Live Life set - pulls in the orange in a very grafical way, which I kind of like! I mounted the piece on a Mandarin layering paper (inside out). 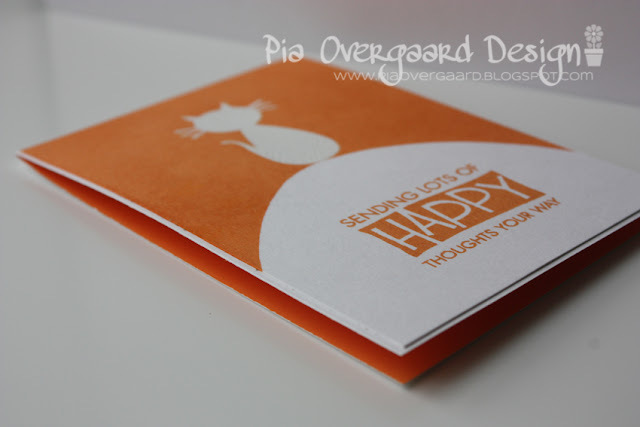 Hero Arts Halloween Moon, Hero Arts Live Life, Hero Arts Orange Soda ink, Hero Arts Mandarin layering paper. Thanks for stopping by - have a great Sunday! Hi Pia! Oh, love this orange! CAS, but really fun, too! I LOVE the graphic look of your card!